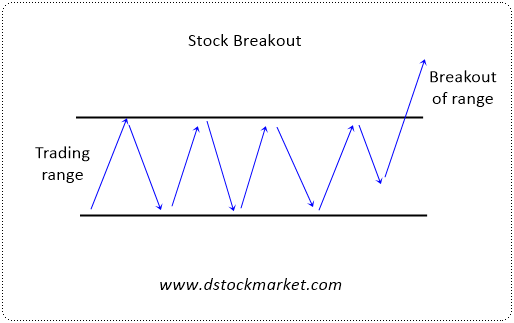 A stock breakout is when a stock moves above a trading range that it was in for a period of time. Breakouts are valid trading strategies and are often very profitable. There are some traders who trade breakouts exclusively and make lots of money just by trading this kind of setups. Breakouts are great because they are often easy to spot and they offer good risk reward for traders. Another great thing is that breakouts happen in all time frames and this strategy can also work for longer term investors. 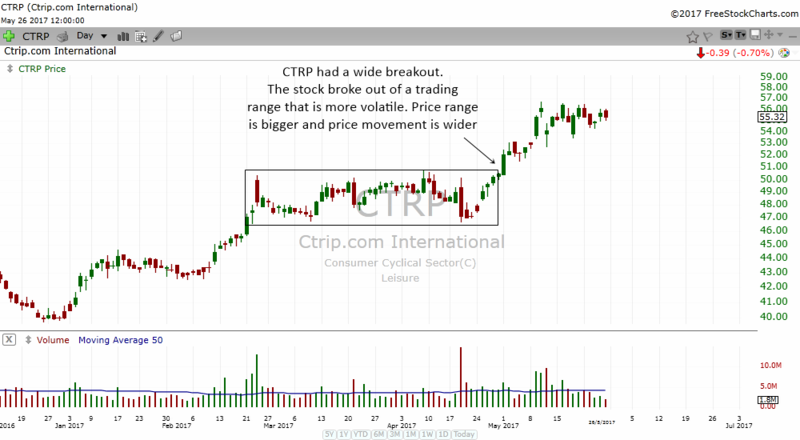 In order for a stock to experience a breakout, it must first of all be trading in a range. The range can last for a few days to a few weeks or even months. The longer the range, the more significant the break out. The trading range can be considered a battle between the bulls and the bears. While the battle is taking place, the prudent trader or investor will stand aside. It is only after victory is certain that the bulls will enter above the highs of the breakout. The chart above is the daily chart of Activision Blizzard. Those who play computer games will be familiar with this stock. The stock was in a trading range from mid March to late April. 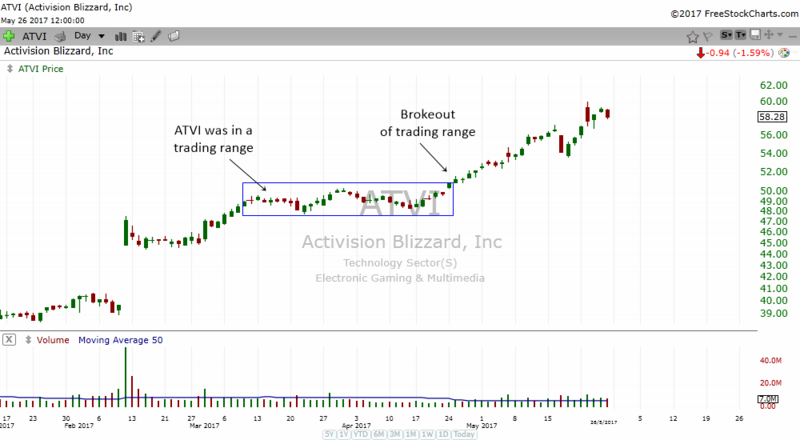 ATVI met the first criteria of being in a trading range. 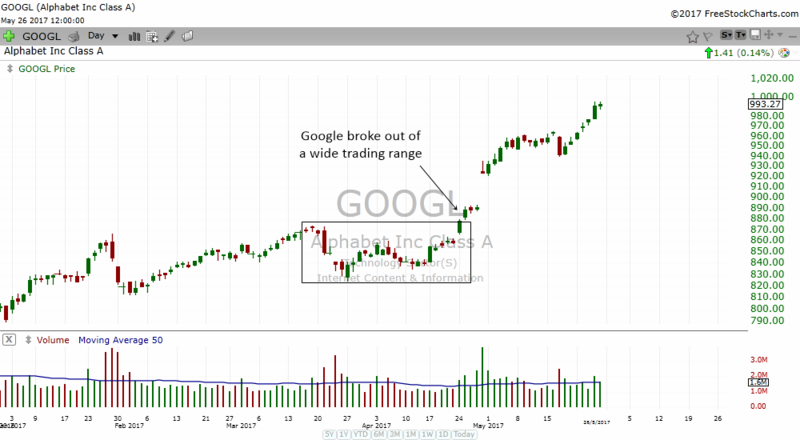 The stock soon broke above the trading range and we call this a stock breakout. Many traders will jump in and buy this stock as it breaks out. You can see how the bulls and the bears were fighting furiously when the stock was trading in a range. Once the stock traded above the highs of this pattern, we consider the bulls victorious. Traders like to be on the winning side, so they buy the stock and celebrate the bulls victory over the bears. There are 2 kinds of breakouts in general. They are tight breakouts and wide breakouts. 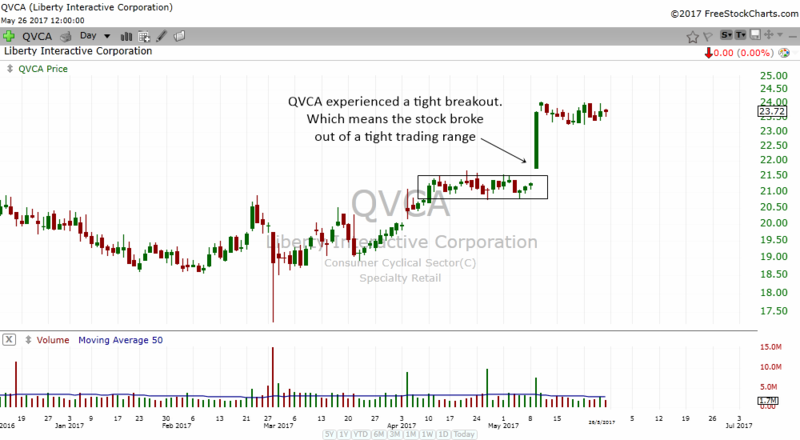 Tight breakout are rare and you will only find a stock that is experiencing a tight breakout once in a while. Extremely tight breakouts happen when a stock trades in a tight range for a period of time. Wide breakouts are more common. You can find them quite often because you can draw a large box over a bigger area. Once the stock trades above the box, we can consider it to be a wide breakout. The stock that has a wide breakout will trade more volatile in a wider price range. Traders have to be careful of treating every break above a trading range as a breakout. Normally the best type of breakouts are the ones that happen in a stock that is in an uptrend.